Very quickly, I just want to touch base with these little jewels of the Drugstore. They are the; Jordana Cosmetics Blush Powders. They come in this chrome covered, little plastic containers that screw open/close, which I find very troublesome, but they are very cute and pretty and they look sophisticated for a drugstore product. I ordered these little guys off of theprimppad.com here in the Philippines for Php 198.00 / 2.2g. Now, I know what you’re going to say; “That’s not the cheapest price!! !” — Yes, I know. But if you haven’t tried shopping on that website, all her other products are dirt cheap you’re gonna wonder how she profits. Besides, I’ve purchased from that website before and it’s reliable and convenient. So I don’t mind the extra pesos I paid for. Touch of Pink is a Matte, sort of like a blush toned creamy coral color. Good for a no-makeup makeup look for a natural flush on the cheeks. Sienna is a Matte, Warm brown, it has clay undertones to it, really nice for dusting over the cheeks when you’re going for that trendy 90’s grunge makeup. Warm Cider is a shimmery, Deep berry color with gold flecks in there. The glitters are very visible, but they are not gritty or rough. What I find interesting is even if this has shimmer in it, the finish and the texture is still pretty matte on the skin. Girls with deeper skin tones would really like this. Here’s what I think: I find that the packaging is very troublesome to deal with, specially for an on-the-go makeup artist like myself. I like my makeup products to come in flip-top closures for ease. I guess I’ll just have to depot these and transfer them to a Z-Palette, so that’s forgivable. For drugstore makeup, I rarely have high hopes in quality, much more in staying power. These of course don’t last as long as the Tarte Amazonian Clay blushes or MAC ones, but these are very inexpensive that you can overlook that and just make sure to bring it in your purse for touch-ups. Over-all, I find that these blushes are totally amazing for the price you pay. They are soft, pigmented and very blendable. Another important thing that I thought I should mention is, unlike the Jordana pressed powders (those that come in see through flip top lids), these blush powders remain their true color even when used with flash photography. This blush line has a large variety of colors to choose from, perfect for your every mood, every skin tone, so if you’re unlike me, and you don’t mind pre-ordering, there’s at least 30 shades to choose from and you can get in touch with your favorite online seller and ask details if they can get it for you. I found someone else on ebay who has them on hand for Php 200 and ships for Free within the Philippines, for a minimum purchase. Once I find out final details, I will update this blog and let you guys know. www.theprimppad.com like I said, has them in these 4 colors, but the seller told me that she’ll be trying to get more colors on the next batch, So, I guess we’ll just have to stay tuned for that. Also, if you don’t mind driving or if you’re the type who wants to see the actual stuff in person (and save a few pesos). You can find these and other Jordana products at the Dollar Store for only Php 99.00. Please follow me on here or subscribe to my YouTube channel, if you haven’t already. Thanks and I’ll see you again next time! I have been looking at the Jordana blush powders for a while now but never bothered with them. 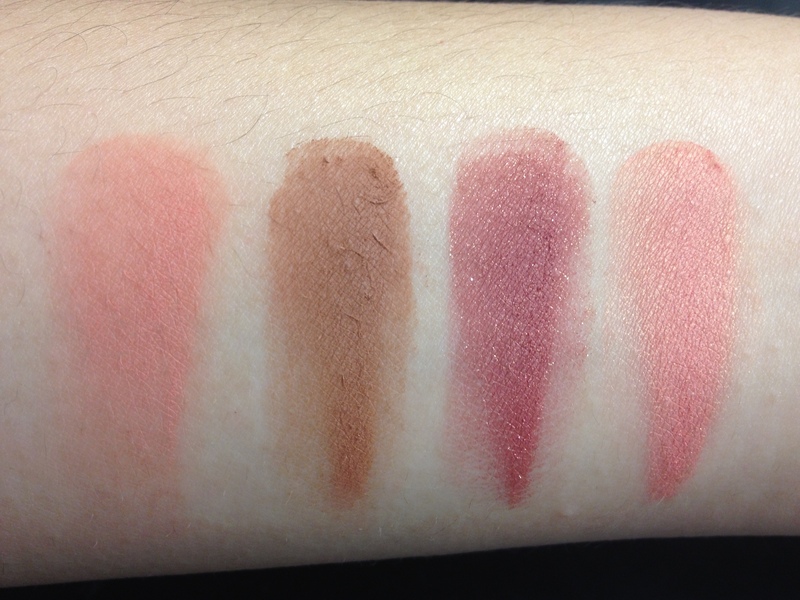 From the look of the swatches they seem to be worth a try. Glad to help! 🙂 You’re welcome!